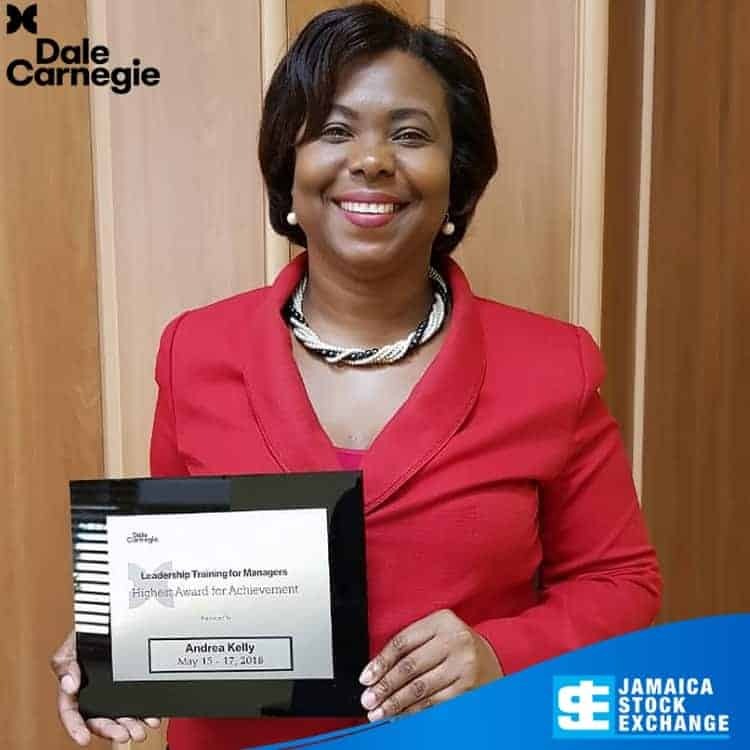 Ms. Andrea Kelly, General Manager of JCSD and JCSD Trustee Services Limited (subsidiaries of the JSE) poses with her plaque for the “Highest Awards for Achievement” in “Leadership Training for Managers” from Dale Carnegie Training Centre Jamaica. 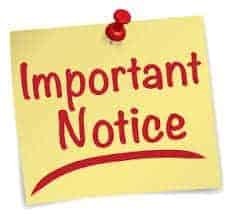 Jamaica Stock Exchange Limited (JSE) has advised that a connected party purchased 1,029,085 JSE shares on May 16, 2018. 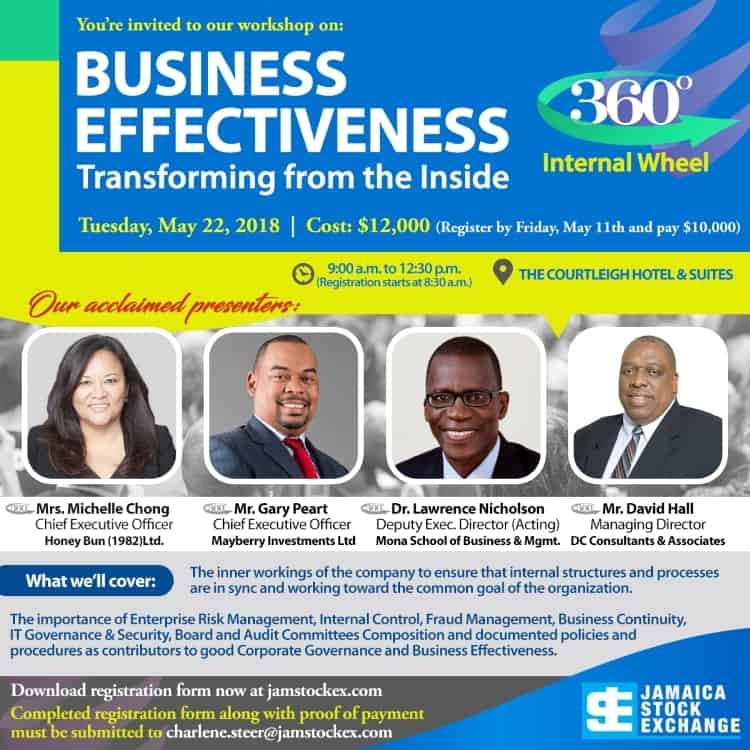 Come and learn how to outperform the competition, by successfully using the tools of internal controls and effective risk management. 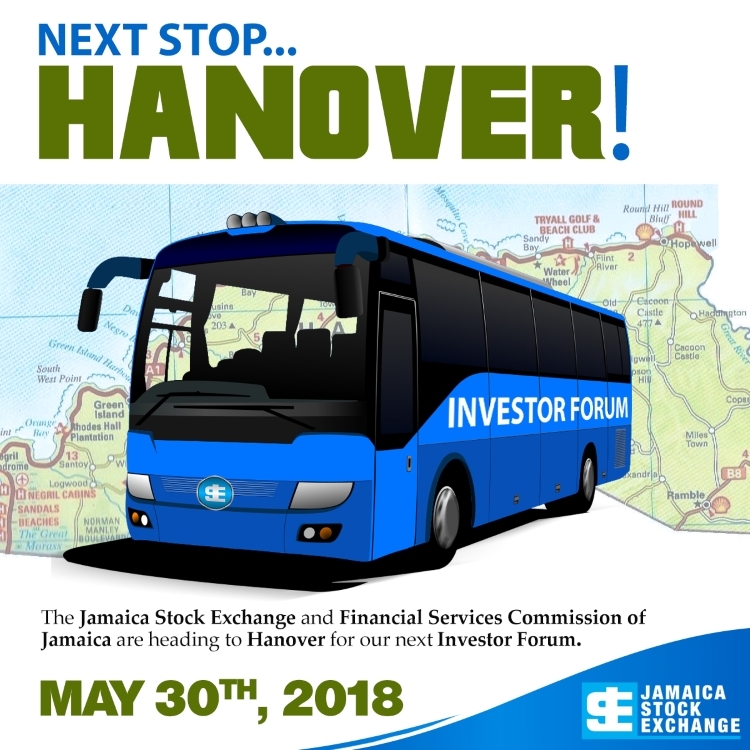 Will you or anyone you know be in and around Hanover on May 30, 2018? Come on out and share with us at the St. Mark’s Anglican Hall at 5:30 p.m. 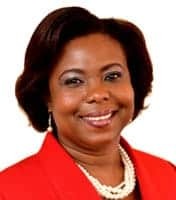 The Jamaica Stock Exchange Limited (JSE) has advised that the Jamaica Central Securities Depository Limited (JCSD), a wholly owned subsidiary of the JSE, has appointed Mrs. Kadyll McNaught Hermitt as Company Secretary of JCSD and JCSD Trustee Services Limited. The appointment took effect on April 18, 2018. The Jamaica Stock Exchange Limited (JSE) has advised that Mr. Christopher Zacca has been appointed to the Board of the Company to fill a casual vacancy, at a meeting of the Company’s Board of Directors, held on March 21, 2018.